Typically, Canadians fly south for the winter. Next year however, it could be a Bahamian student who trades in their swim wear for snow gear to experience a Canadian winter and university. 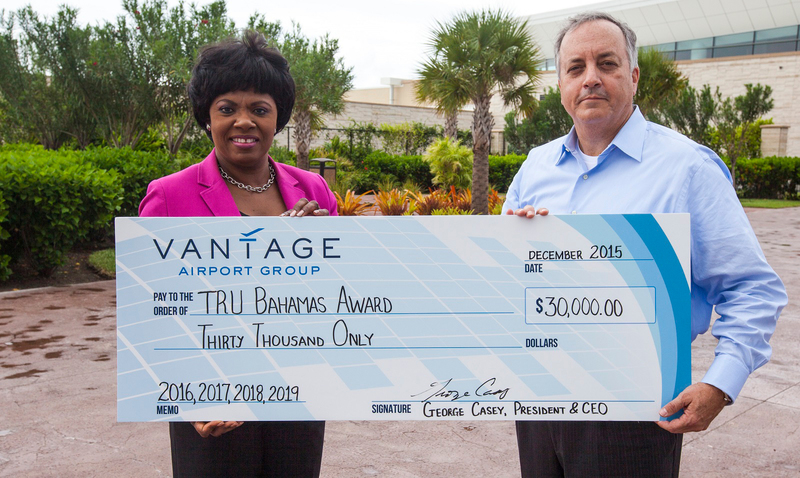 The Vantage Airport Group International Education Award will provide $7,500 annually to a student from The Bahamas who enters or continues their studies in an undergraduate program at Thompson Rivers University (TRU) in the Faculty of Adventure, Culinary Arts and Tourism or the School of Business and Economics. Bahamian students applying to one of the eligible programs will automatically be considered for the award. Applicants will be selected based on academic achievement and their admission application. Deadline to apply for the Fall semester at TRU is April 15, 2016.